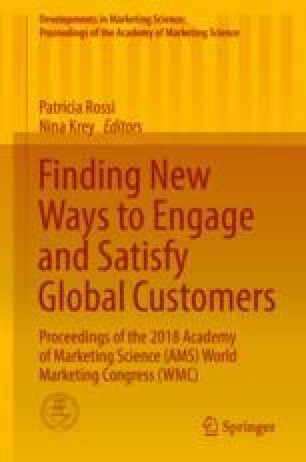 Marketing’s foundation in economics has steered us toward the rational aspects of consumer behavior. Despite some recent recognition of the emotional aspects of consumer behavior, emotions have not received adequate consideration in academic research. Our focus on cognition results from three important factors. First, because our existing paradigms focus primarily on thinking they have generally led us away from studying emotion. Importantly, however, some research suggests that emotional factors underlying consumer decisions can often have a stronger effect than rational forces or functional aspects of the product. As a result, we probably underestimate the power of emotions in consumer choice. The second reason emotion is not given its due is that we have thought of cognition and emotion as generally mutually exclusive. Look back at the various models of involvement, and quickly you will see that mental processing has been characterized as either high involvement and rational (e.g., AIDA) or low involvement and heuristic. Newer theories propose that all human experience and decision-making consist of both cognitive and emotional processes, so both of these factors are important in human behavior. A third reason we have ignored emotion is a result of the constraints imposed by the methods we have used. Despite our desire to peer into the “black box” of the human mind, historically this was almost impossible. Behavior is usually the result of automatic brain functions. People often act for reasons that are not fully known to them or fully rational; therefore, self-reports are not a reasonable way to assess these functions. Fortunately, we have a new arsenal of physiological “neuromarketing” measures of attention, emotion, and involvement including measures such as EEGs, eye tracking, and fMRIs. These techniques can be used to probe emotional responses. Each method provides its own perspective on preconscious physiological reactions that together can provide a rich picture of emotional responses. These physiological measures are becoming increasingly important in marketing research. Even better than relying exclusively on psychophysiological measures alone is to employ these methods in combination with cognitive measures. In sum, it is time to break free of traditional models that focus entirely on cognition and generally ignore emotion. We propose that to understand the consumer experience we need to understand that decision-making is based on both cognition and emotion, and it is important to consider how physiological measures can be used to examine emotional responses.